We’d love your help. 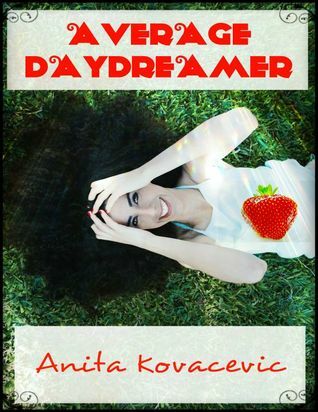 Let us know what’s wrong with this preview of Average Daydreamer by Anita Kovacevic. To ask other readers questions about Average Daydreamer, please sign up. Priscilla is the ‘Average Daydreamer’ but there’s nothing average about her. Successful in her professional but not in her love life, she’s looking for her perfect Mr Right. But will she find him? ‘Average Daydreamer’ is Anita Kovacevic’s first comedy romance and it has plenty of funny and cringe-worthy moments. The characters are so well written that they feel real; I’ve certainly met a few Priscilla’s in my time! There’s an element of will they won’t they that kept me turning I loved this book. There’s an element of will they won’t they that kept me turning the pages and I wanted to shout at the main protagonist on more than one occasion. A thoroughly enjoyable, light-hearted story that will keep you amused and interested. Highly recommended for a holiday read or to cosy up with on a cold winter day.